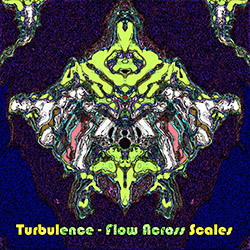 A larger than previous Boston collective's Turbulence ensemble with 6 of the regular horn players from Leap of Faith Orchestra, performing multi-reedist and instrumentalist PEK's extended framework, with drummer percussionist Yui Zbitnoff; the ensembe breaks down to three duos and guest saxophonist Bob O'Brien, captured live at Outpost 186, in Cambridge, MA in August 2018. 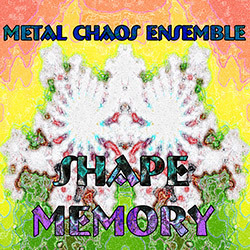 Each of these Boston-area improvisers handles an arsenal of equipment in the Metal Chaos Ensemble of David Peck (PEK) on reeds, synth, & daxophone, Bob Moores on synths & laptop, Eric Woods on synth, metal & wood, Abby on bass & electronics, and Yuri Zbitnoff on drums & percussion, in a massive work of detailed and passionate electroacoustics over PEK's large synthetic mix. 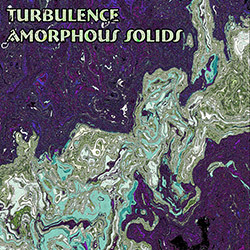 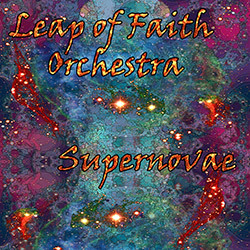 Turbulence is the extended horn section for the Leap of Faith Orchestra, a varying-sized ensemble, recording here at Boston area's Outpost 196 as a quartet with PEK on reeds, Bob Moores on trumpet and Dan O'Brien on sax, clarinets & flutes, all playing an assortment of percussive devices, with Leap of Faith core member Yuri Zbitnoff as a dedicated percussionist. 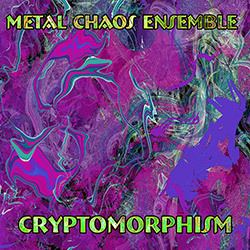 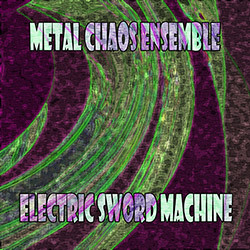 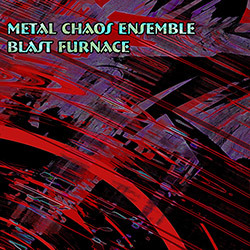 Wind player David Peck and percussionist Yuri Zbitnoff formed Metal Chaos Ensemble to explore chaotic rhythms on metallic instruments, employing an arsenal of percussion, electronic and wind instruments, becoming one of Evil Clown's most prolific sub-units, here with Bob Moores on space trumpet & guitar, Eric Woods on analog synth, and Eric Zinman on percussion. 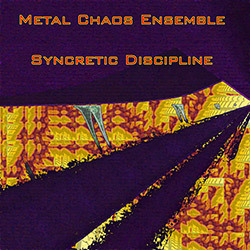 A collaboration of Leap of Faith members, percussionist Yuri Zbitnov, multi-reedist and wind player David Peck, with guests from the Evil Clown roster, adding electroacoustic elements including looping, sampling and electronic processing to their improvisation, here with Joel Simches on real-time signal processing, alongside sound artists Greg Grinnell & Bob Moores. 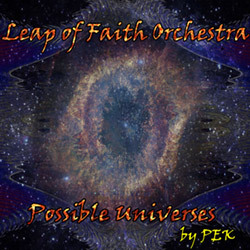 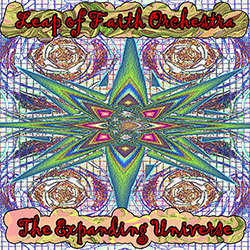 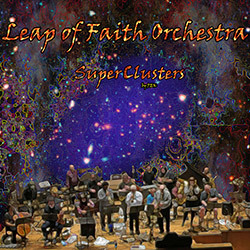 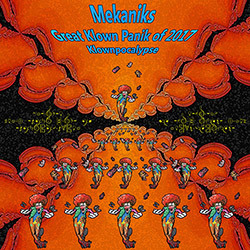 The Leap of Faith Orchestra is a large improvisation ensemble comprised of 5 ub-units--Leap of Faith, Metal Chaos Ensemble, String Theory, Turbulence, and the New Language Collaborative--all assembled here for a massive and far-ranging experience, scored with time indices and English language descriptions by leader David Peck; dense and spectacular. 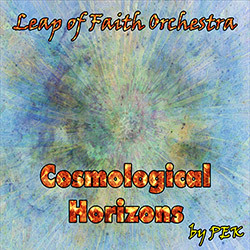 Boston area composer and multi-instrumentalist David Peck developed a unique approach to scoring for this large and idiosyncratic ensemble, referred to as Frame Notation, giving descriptions of sonority, time scale, events, playing occurrences, &c, leaving a great deal of freedom for these extraordinary musicians, as borne out in their incredible and extended performance.